Forewarning! 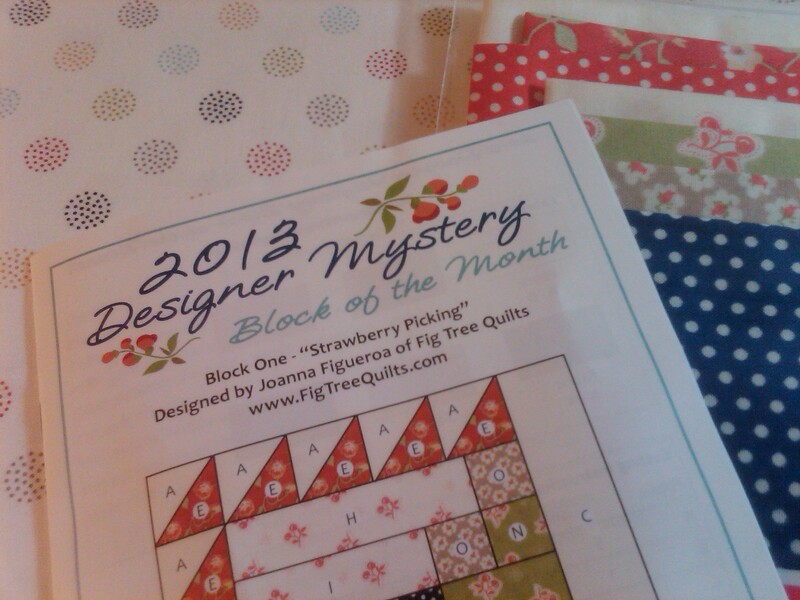 I received my first shipment from FQS for the 2013 Designer Mystery BOM yesterday, and I couldn’t wait to open it! Before I do, I’ll give you a chance to avert your eyes and come back later if you are waiting on your own shipment and want to see the first block as a surprise. I opened up my Robin’s Nest block 2 package, and pressed out the background fabric needed for the center applique. 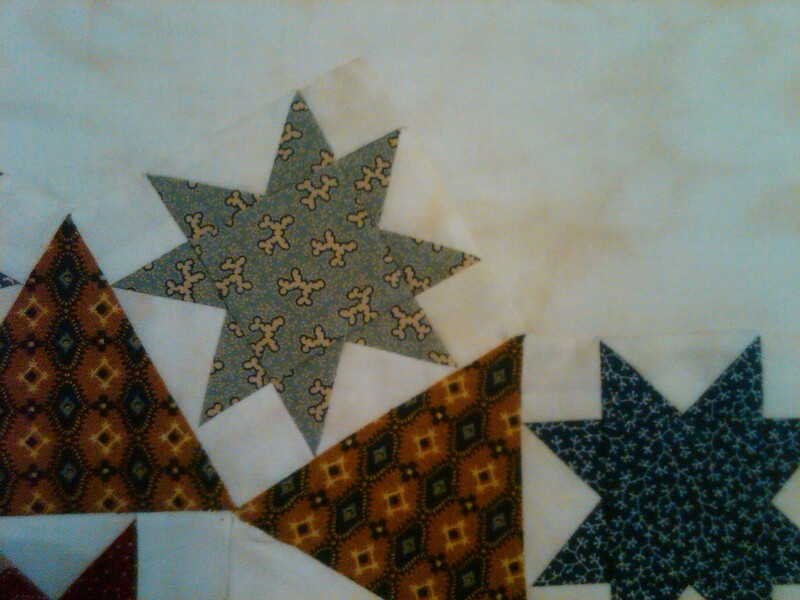 Once my center is done, then a little fussy cutting and applique of the round of scalloped border. After this step, it will be some piecing for the next border round. I have plenty for two blocks and I put the left over fabric back in the clear envelope. Can’t wait to get this pieced later today. How’s your summer wish list shaping up? A few progress pictures to share today. 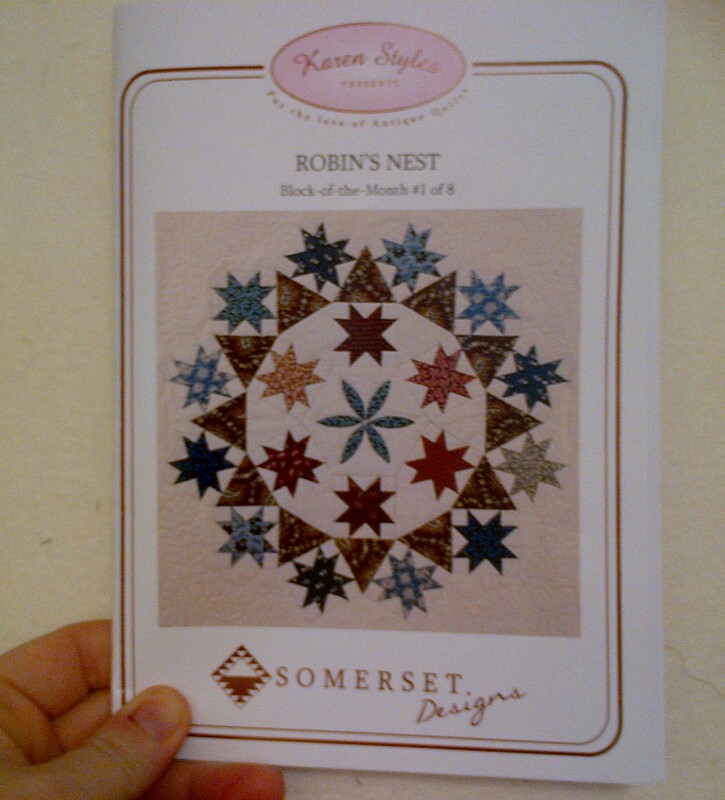 I made it through Block 1 of the Robin’s Nest quilt by Karen Styles of Somerset Patchwork (in Australia – very exotic!). In her latest post, there is SERIOUS EYE CANDY if you love hexagons or fussy cutting or kaleidoscope blocks or beautiful fabric. GO and look at it now. I will wait. Go. Now. Link is above. 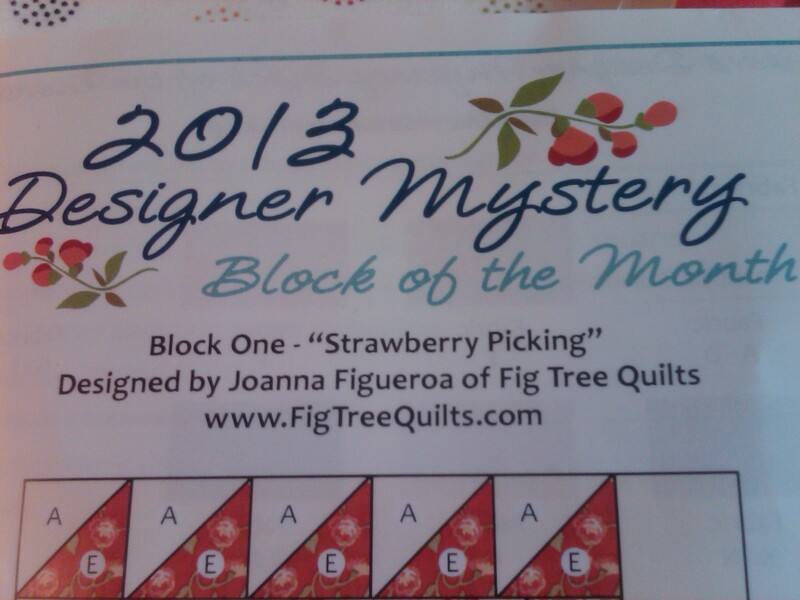 I have now officially added a Ring of Roses quilt to my bucket list in a red/white colorway. I obtained my pattern and templates from Somerset, but opted to get the monthly fabric delivery for this quilt from Homestead Hearth (postage costs and such). I think I just received Block 6 last week, so you could say I’m a bit behind! I don’t see Robins Nest on their site right now, so I don’t know if they sold out or what. 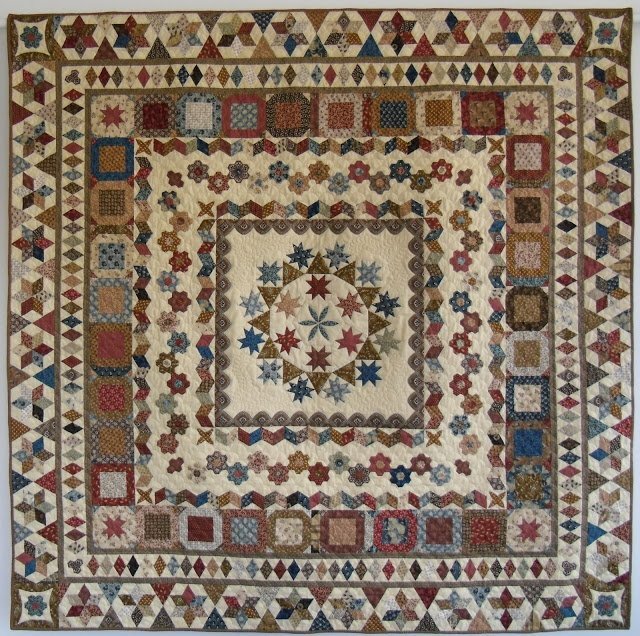 However, if you do go and browse – take a look at the Merrimack quilt that is coming this summer. 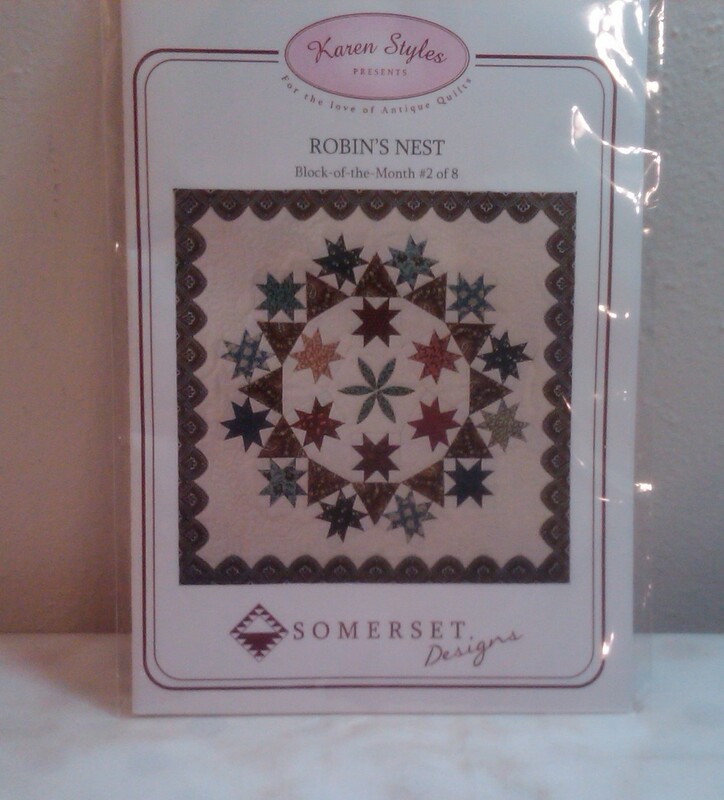 It is another pattern by Karen Styles that they are offering. Love it too! 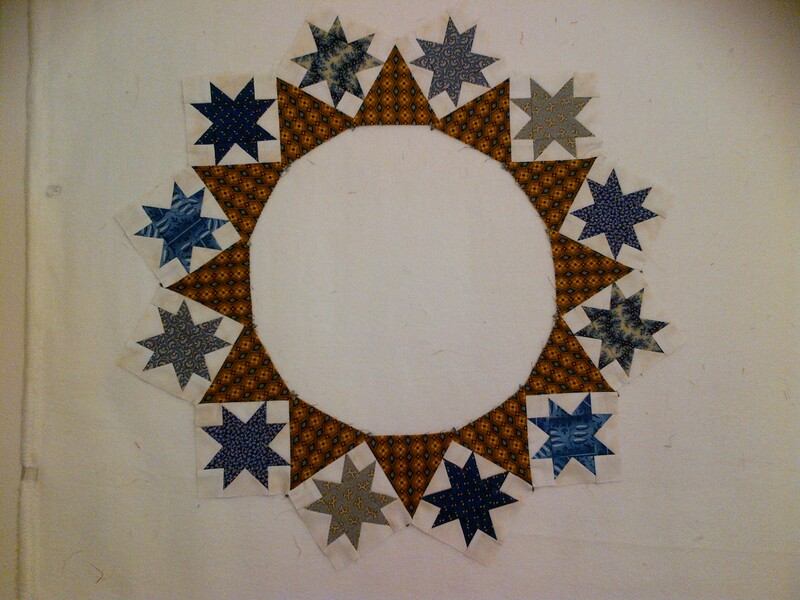 I finished the ring of blue stars that will encircle the center medallion of the hexagon applique and six red stars that I showcased in this blog post. 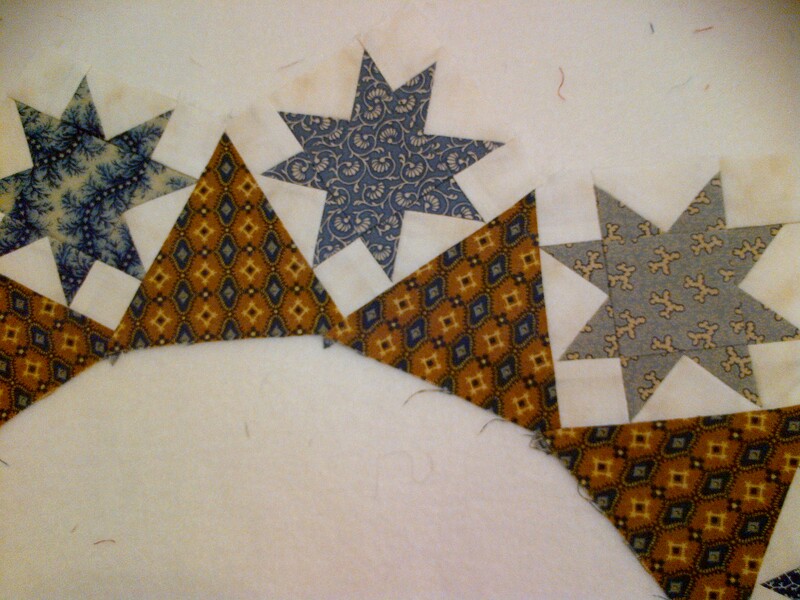 For the 3 1/2″ finished stars, I used the Mini Fit to Be Geese tool by Monique Dillard of Open Gate Quilts. Although the matrix of instructions didn’t specifically give me cutting instructions for a 2 1/2″ x 1 1/4″ unit, I winged it by cutting my background into 2″ squares, and cutting diagonally once. 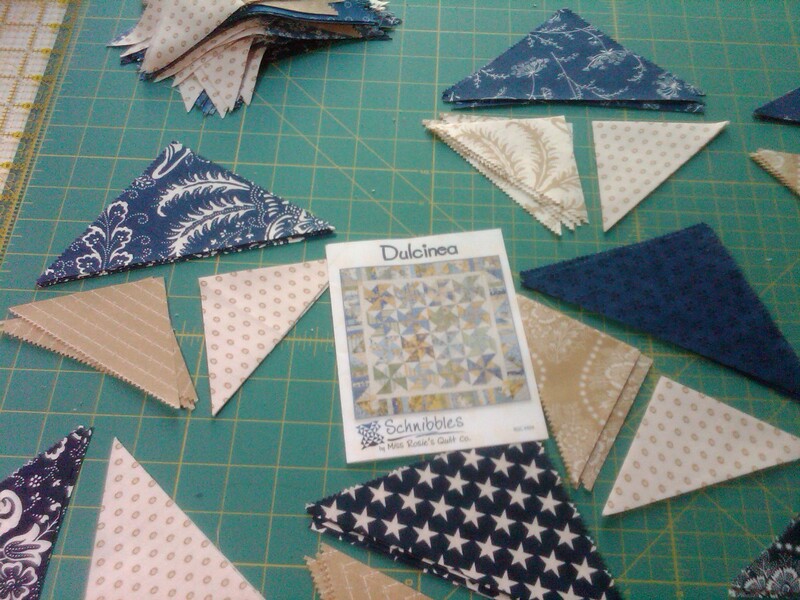 And then cutting my blue fabric into 1 3/4″ squares and cutting them diagonally once as well. Then paired them up like any other unit with this tool and there were guide lines there to make them perfect. Much easier for me than cutting the exact template shape for each fabric piece. It’s really getting me excited to see it take shape. After I took the pictures last night for this blog post, I couldn’t help but stay up late enough to sew these two pieces together – so I’m DONE WITH BLOCK 1!! My own little rehab success. 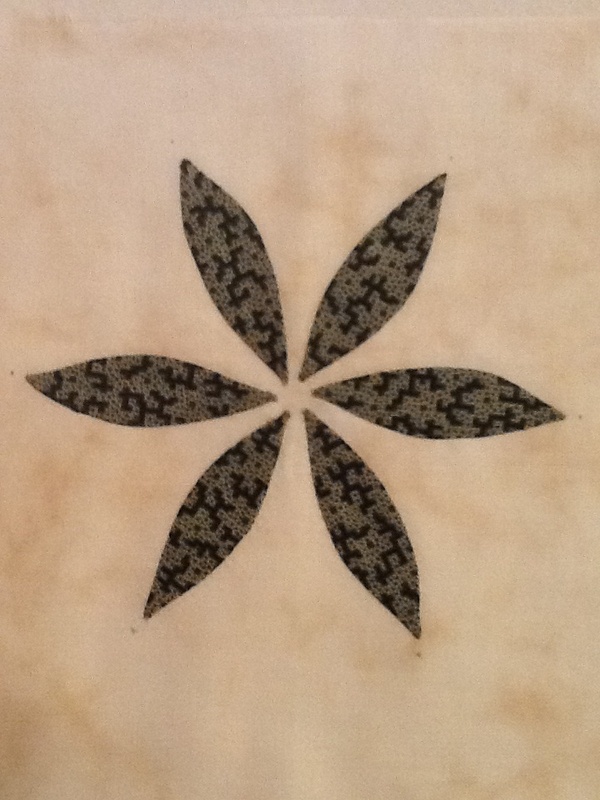 The next step, for Block 2, is to applique this to a large square of background fabric and then fussy cut this scallop print fabric such that I applique it around the square to form a larger block. I will do some show and tell on that block next time. Starting new BOM! Border of the Month from Australia! I’m going to count this as a rehab project, even though it is referred to as a border of the month. Same acronym, so it works for me. I’m a few months behind and it will definitely take time to do it right. I’m looking forward to enjoying all the steps and mixing traditional piecing with paper piecing (a first for me) and needle-turn applique. The project came from Karen Styles in Australia. Her shop, Somerset Patchwork and Quilting, plays host to some really phenomenal workshops with ladies who know how to stick to a project. Take a look at her blog and browse her website store for reproduction groups and BOM projects that take your breath away! 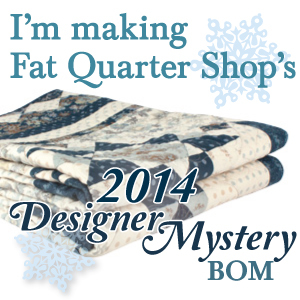 I got the pattern and acrylic templates from her shop, but I started the fabric BOM delivery from Homestead Hearth. Block 1 is technically the full center ring of stars, triangles and 6 center leaves. But, as I just mentioned, this one will not be a race to the finish. 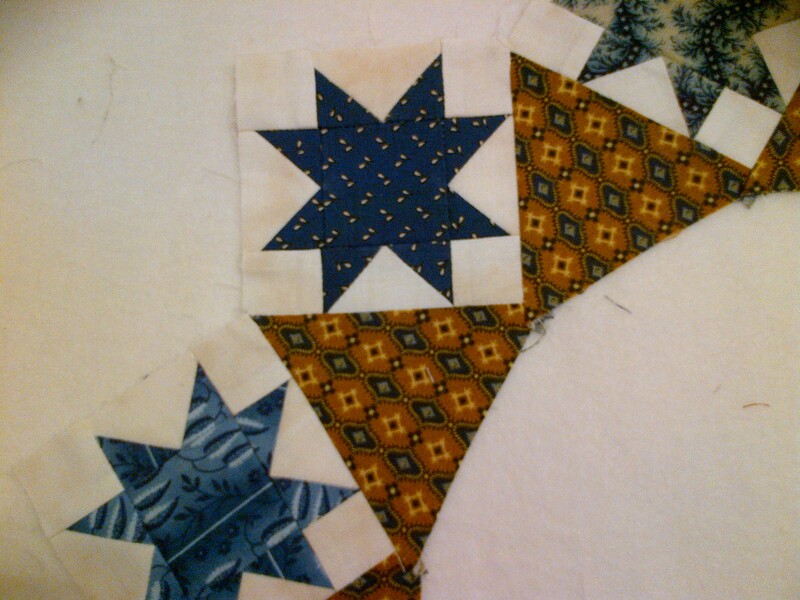 So, I count my first block as the center applique hexagon! Done! The little pencil points at the tips of the leaf shapes are going to be the points of the finished hexagon. I won’t dare cut this out though, until I have the other part done to make sure it fits like a glove. Today is also my birthday and I hope to get a really good mix of family, friends and quilting in today! I finished all of my yo-yos last night! Problem is, now I have to find a new traveling project for our temporary stay in the hotel. When all were done, I counted them out. 199! !@#%$!@9?? 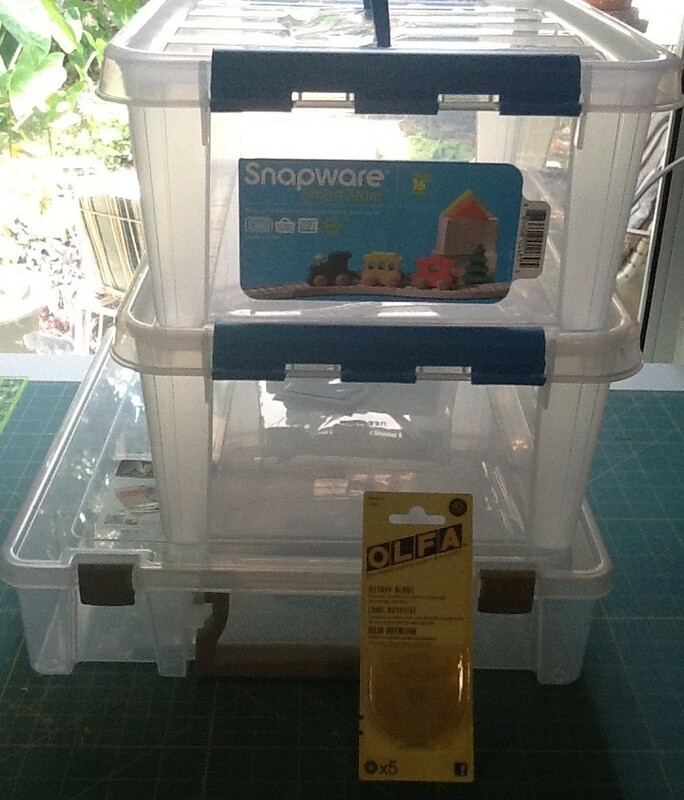 Ok… there is some lone yo-yo laying around somewhere, probably under my sewing table. 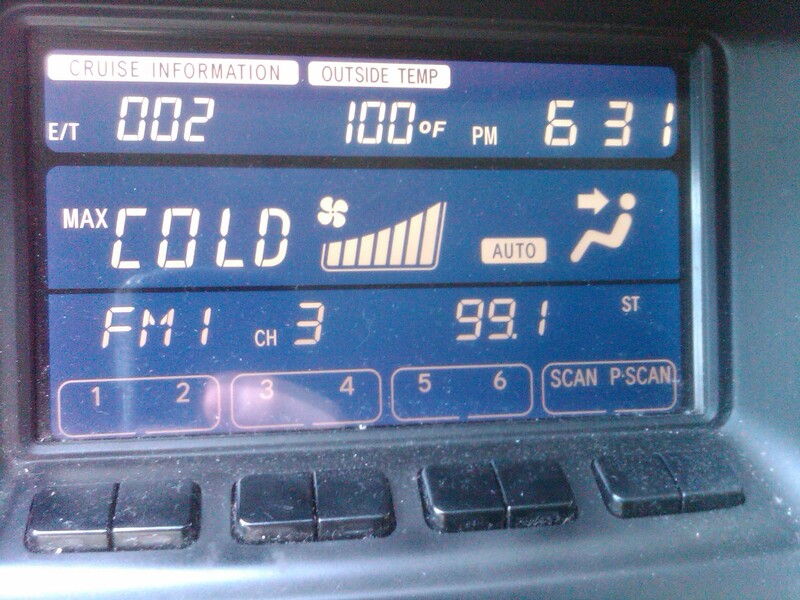 I will NOT be able to move on with this odd number. 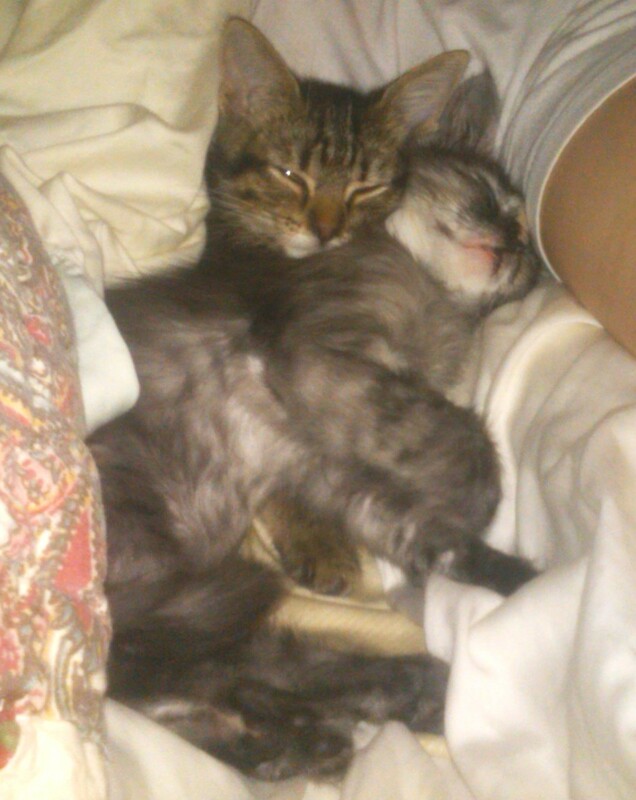 It just isn’t in my DNA. I’ll be on a hunt for that lone yo-yo. 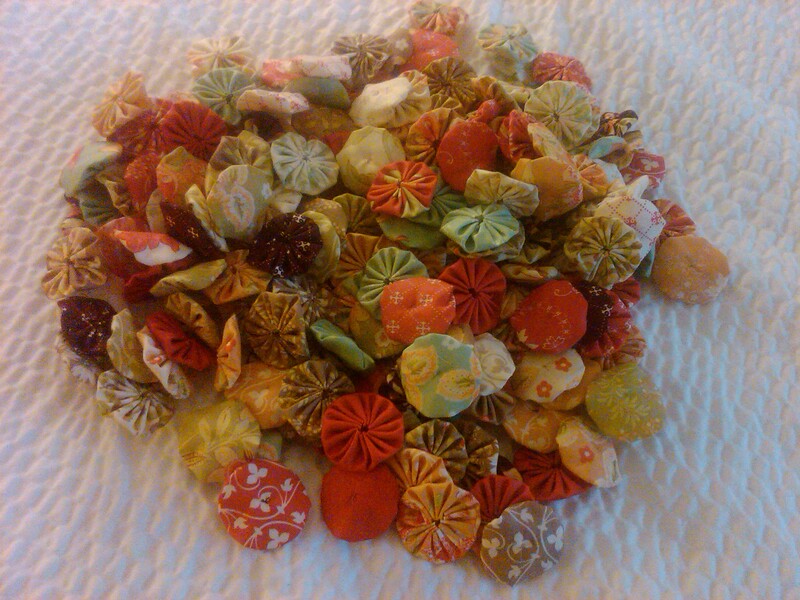 Here’s what 199 yo-yos look like though. Beautiful array of Tapestry fabric by Fig Tree Quilts. Sorry about the poor lighting – I don’t get great lighting, even in the day time, inside the hotel room. I made each one using the large Clover yo-yo maker. I finished them off by pulling the needle to the back and taking several overlapping small stitches. I love how the dark plum color really pops in this group! I also got a sweet surprise in my mail yesterday! My first bundle of Robin’s Nest fabric from Homestead Hearth! 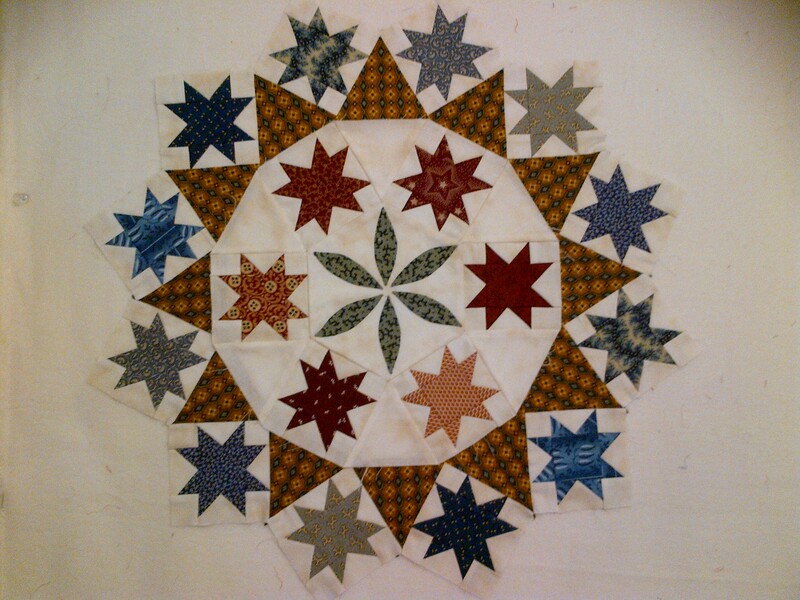 They are doing this quilt as a BOM in reproduction type fabrics, not all from one collection – so it will be kind of scrappy too. The burgundy gingham/check is their paper sack – in case that isn’t obvious in the picture. 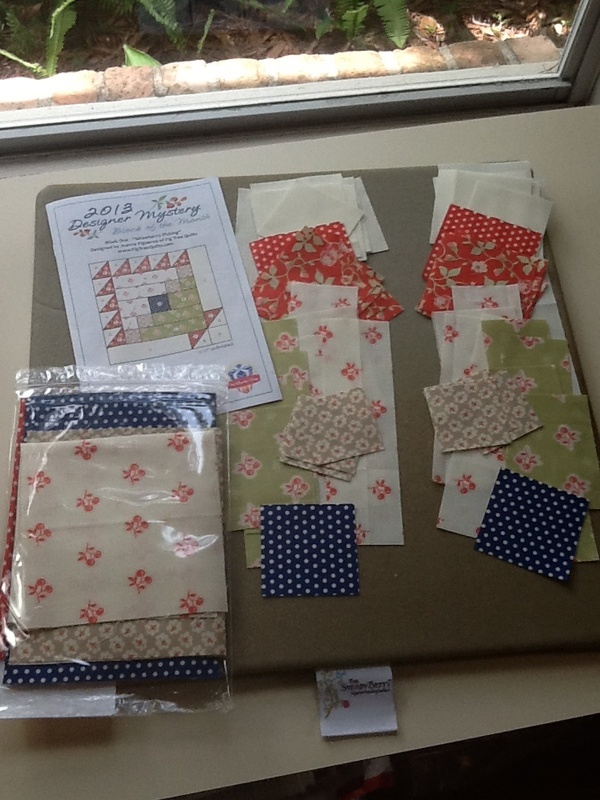 I ordered the templates and patterns from Somerset Patchword in Australia, and was able to find the fabric BOM program here (afterwards noticing that they had both the fabric and patterns as a BOM option). Take a look at both of their websites – lots of great eye candy. Don’t be afraid to order from Australia either – they were so great to work with and if you can just wait for the shipping time, why not? (Tip – use Skype to call super cheap internationally. My 15 minute call to Somerset Patchwork cost me only 24 cents). Can’t wait to get started on this one!